Lark Books (NC), 9781454918950, 96pp. Traditional Celtic knotwork designs are among the most beautiful, intricate patterns ever created. And coloring in their interlaced paths can relax and focus the mind. 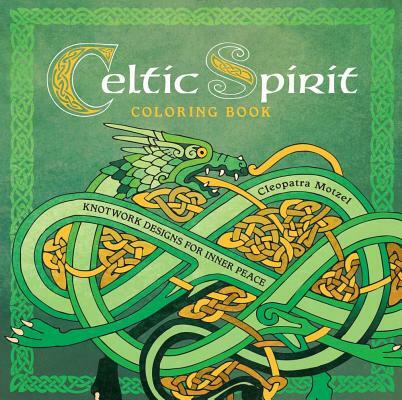 Unwind by adding color to these 80 exquisite Celtic- and Norse-inspired examples, all from a noted knotwork designer. As you work, let your imagination drift to a different place and time, when designs like these might have originated. When you're done, display the finished art for reflection and pleasure--or give it as a gift to a friend or loved one. Cleopatra Motzel, also known as Feivelyn, is a well-known artist who specializes in all aspects of knotwork design, from the Celtic knotwork of the British Isles, to that of Germanic and Norse tradition. She lives in Germany.